The project focuses on prevention of loss of life, property and function of the buildings during earthquakes by producing non-structural elements considering the risks. Neither in on the point of the VET, nor on the point of the seismology science, the non-structural elements have been taken into account in European level. More than 300 thousand people died and 260 million inhabitants are under the risk of the earthquake now in EU. 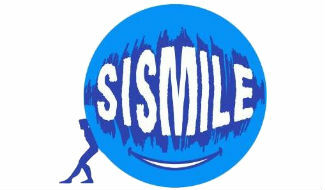 The SISMILE project would like to create an eLearning package about design techniques on prevention of the risks caused by nonstructural elements inside buildings during earthquakes for furniture workers and manufacturers. This eLearning will train the target group members via creating a real-world simulation and showing the effects of the correct or false designed non-structural elements on inhabitants during the disasters. The training content will be multilingual (EN, TR, IT, SP, GR, BU, RO) and national – cultural differences of the partner countries will be involved. The training programme could be used as a part of current informal, non-formal and formal training systems, but at the same time it could be used individually. It will be created by the cooperations of 8 organizations from 7 countries. Facing with the contemporary problems of the furniture industry, the education programs also must be contemporary, easily update-able, cost-benefit designed and specified. For covering the weakness of the sector called “personalizing products” also must be considered in education programs. Unfortunately current education programs are mainly based on the technical part of the production. In recent years the design approach in furniture production is continuously being developed but the statistics show that it is not enough to compete with Asia which is the highest growth of furniture apparent consumption. The globalization is changing the structure of labor intensive industries such as the furniture industry. Besides, there is an important subject which has not been considered as a design subject for furniture production until now such as “designing of the nonstructural elements inside the buildings against the risks caused by the earthquakes” which is the most dangerous disaster of the Europe. Understanding of size of the possible return of the project result, it is necessary to be perceived the figures in Europe related with earthquake disaster. The history of Europe is full of the earthquake disasters which cost hundred thousands of life and millions Euro of properties. The earthquake risk still continues and it will never end and the population in earthquake area is more than 260 million people now. The project’s subject is a cross-border and transnational issue which has not been focused via education programmes until now. Via reaching the aim of the project, the loss’ degrees of life, property and sustainability caused by earthquakes will be decreased. This project will bend over on this subject and via this will kill two birds with one stone. Firstly the furniture industry will have new subject to work on and increase the area of employment and secondly the risks caused by non-structural elements during the earthquakes will be decreased. Orderly the project results will have cascade objectives; 1) The workers and manufacturers in furniture industry will be trained about the application techniques about non-structural elements inside the buildings against earthquake risks 2) Trained workers and manufacturers will apply these techniques to the buildings in European earthquake risk area and will get profit from it 3) This profit will increase the employability in the furniture industry 4) Application of these techniques will decrease the risks and the losses’ of life, properties and sustainability.